NASA and ASTM International, a global standards organization, have selected Auburn University for two new partnerships that will spur technological advances in additive manufacturing, also known as 3-D printing. Auburn, expanding upon its existing relationship with NASA's Marshall Space Flight Center, has formed the National Center for Additive Manufacturing Excellence. It already has more than 40 industry and government collaborators. The center, which will be housed within Auburn's Samuel Ginn College of Engineering, will conduct research on improving the performance of parts that are created using additive manufacturing, share research results with industry and government collaborators and respond to workforce development needs in the additive manufacturing industry. "Our college has a long history of collaboration with NASA and the nation's space programs," said Christopher B. Roberts, dean of engineering. "The establishment of this new center will allow us to work together to solve critical challenges in additive manufacturing that will help achieve our nation's aerospace goals. We have made major investments in faculty, laboratories and equipment to achieve a leadership position in additive manufacturing." Todd May, director of the Marshall Space Flight Center, echoed Roberts' vision for the center. "Additive manufacturing is a rapidly-evolving field. Advancements in this area will aid the development of more capable and lower-cost launch vehicles and spacecraft to benefit all of NASA's science, engineering and spaceflight endeavors," he said. "NASA embraces collaborations with industry and academia to advance the state-of-the-art and to help us achieve our space exploration mission goals. 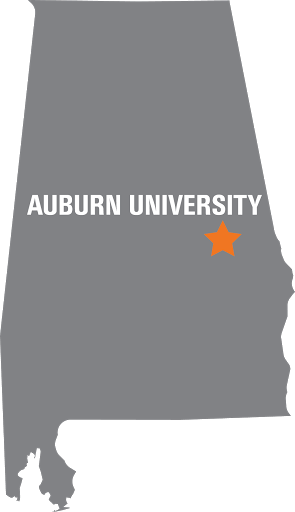 I applaud Auburn's vision and focus on growing their additive manufacturing research capabilities." The center is also part of a new Additive Manufacturing Center of Excellence, a collaborative effort with ASTM International and the engineering and technology nonprofit EWI. This partnership will direct its efforts to the development of new standards for the additive manufacturing industry, as well as conducting research to advance additive manufacturing technology and workforce development. "This game-changing collaboration will build a strong foundation for the future of additive manufacturing," said Katharine Morgan, president of ASTM International. 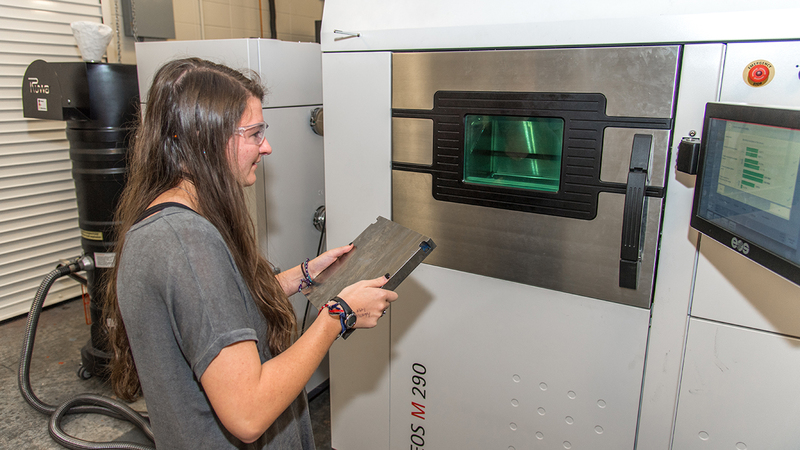 "The synergy among Auburn, NASA, EWI and others — combined with the trailblazing work of ASTM's additive manufacturing committee — will help fill industry gaps and accelerate innovation. It's clear that this new center has the potential to shape the future of industries like aviation, auto, medical and more." Nima Shamsaei, associate professor of mechanical engineering, has spearheaded Auburn's efforts to formalize the National Center for Additive Manufacturing Excellence and to obtain the ASTM Center of Excellence designation, along with Auburn University co-investigators Tony Overfelt, Scott Thompson, Bart Prorok, Mike Ogles and Steve Taylor. "The efforts by our faculty are resulting in significant dividends to our research program," Roberts said. "To be recognized by ASTM International is quite an honor and we look forward to a productive, collaborative relationship with ASTM and EWI." Unlike traditional manufacturing processes that require machining to create components, additive manufacturing allows manufacturers to fabricate parts layer-by-layer from metals, plastics or other materials using a 3-D computer-aided design model. Because parts are made by building upon each layer, additive technology reduces waste in the manufacturing process, allows for the creation of highly complex shapes and can create parts that are both lighter and more durable than those made using traditional manufacturing methods. The technology is revolutionizing the manufacturing industry, giving engineers new methods to create custom parts for manufacturers in the aerospace, biomedical and automobile industries as well as in other areas. "Additive manufacturing is a disruptive technology enabling designers and developers to create next-generation, precision-engineered products that couldn't be made any other way," Auburn President Steven Leath said. "Auburn is a national leader advancing this important new technology, and we're excited to partner with NASA and ASTM International." The new research centers also have major economic development implications for Alabama. More than 43,000 Alabamians work in the metal manufacturing industry, while the state's fabricated metal manufacturing exports were worth $400 million in 2016, according to the Alabama Department of Commerce. "Alabama is an innovative leader in employing additive manufacturing techniques," Alabama Gov. Kay Ivey said. "By Auburn University, NASA's Marshall Space Flight Center and ASTM International working together, the public and private sectors will jointly bring about important technological advances and bring further opportunities for workforce development. Today's news will ultimately produce a stronger, even better workforce and more opportunities for Alabamians to provide for their families."